You must make bookings at least 5 minutes in advance of the time at Quartier Restaurant. Eight is a private members club situated in the heart of the city of London. There are currently two clubs and membership affords members access to both venues. Eight Moorgate opened in 2009 and is a rooftop club with spectacular views over the city of London, the club has 3 terraces, restaurant, event space, members lounge with communal workspace, 4 meeting rooms with another 3 under development. 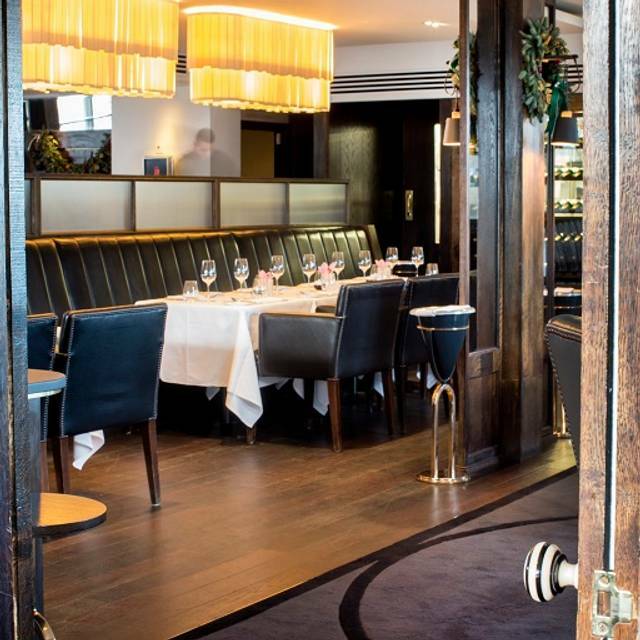 The Private Dining Room in Quartier Restaurant is available to hire for up to 16 people. With private entrances the dining room gives guests direct access onto the terraces. For groups larger than 16 there are other areas of Eight Members' Club where groups can be accommodated, please contact kairi@eightmembersclub.co.uk for more information. 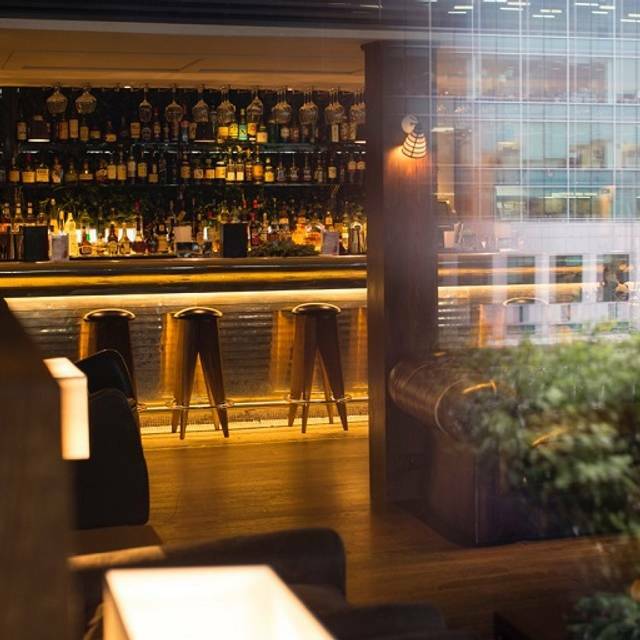 Quartier Restaurant is set in the stunning rooftop club Eight Members' Club Moorgate with outside dining on the terraces. The club's entrance can be found on Dysart Street from where you ascend in the glass lift directly to the club's main reception. 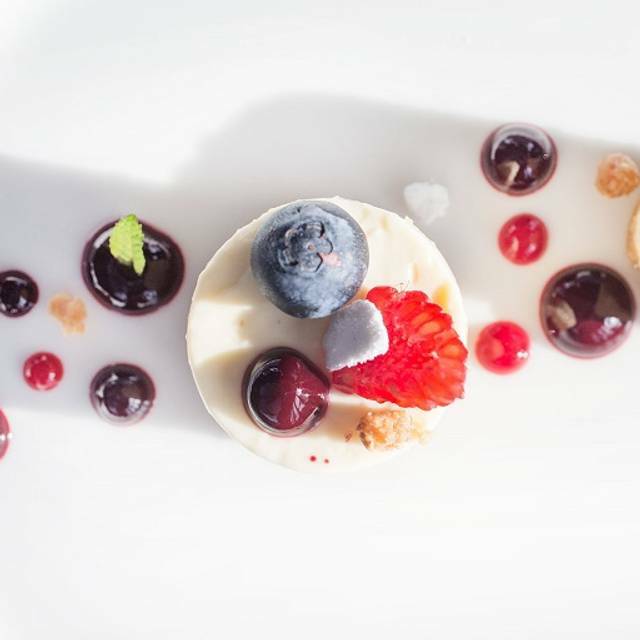 Quartier on the club's first floor gives diners a panoramic view of the City whilst enjoying refined dishes from the contemporary menu created by Executive Chef Daniel Cunin. 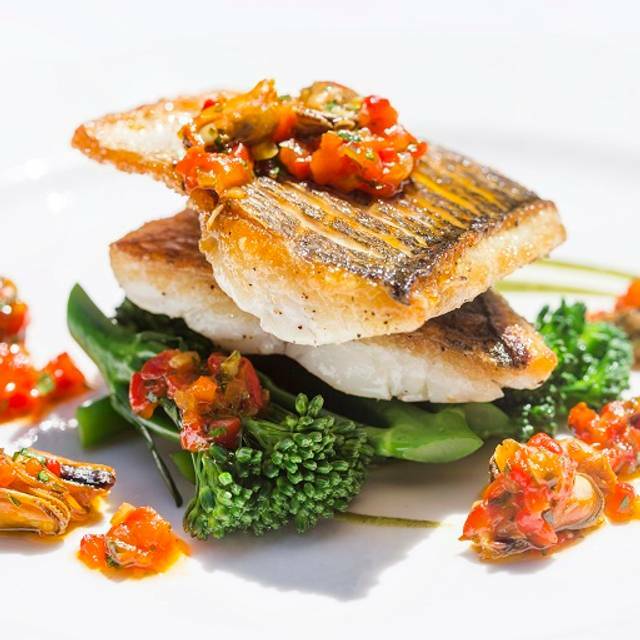 The restaurant is ideal for both afternoon business lunches and serene evening dinners with the option to enjoy the wraparound terrace before and after dining. Terrible restaurant. No atmosphere, and they kept emailing me firstly to change the time as they had another booking later and needed our table for another booking and kept emailing me to remind me that we had to be out by a certain time even though I had responded confirmation with a return email. Food was dry and there was no atmosphere. Would definitely not recommend this restaurant to anyone . Also don't know why they tried to hurry us out most of our group was ready to leave after the starter. Bit emabarrassed I took my team their after my triumph last yera at the Ivy Garden. A bit high and mighty for what it was, had better quality food via toptable deals which topped this experience by a mile. Very good food. Well thought out menu. Good wine list from £30 upwards. Excellent service levels from friendly, attentive and very professional team. Comfortable well spaced tables and very nice ambience, despite being less than 50% full on the night we dined. Best venue for a business dinner that I have been to in this part of London and good value because of that. Top notch service, our waiter gave us very good recommendations and was super pleasant without being overwhelmingly present. Delicious food, well presented, seasoned perfectly. We will definitely be back! An excellent discovery. On the top floor of a discrete club between the City and Shoreditch it has top quality food, an outside seating area when the weather is good, and excellent and helpful staff. Much like the Aviary only without the crowds and the terrible service. We were there on a Monday lunchtime so it was very quiet, but ideal for a discrete meeting. Service couldn't have been more charming and the two fish dishes we had were a delight. Will definitely try it again of an evening. Would thoroughly recommend it. Situated in a private member's club Quartier is a nice find in an area of London that is deserted after 18:00 on weekdays. We sat outside on a warm night and, even though it was a Friday, the restaurant wasn't busy. There was a huge party going on upstairs but that didn't bother us at all. There was only one waiter working that evening so he was running around like crazy. However, he was absolutely brilliant, nice to talk to and the food and drinks all arrived promptly. The food itself was excellent and the portions were large without being overbearing. As it was a lovely evening we lingered over a drink and never once felt rushed. Overall a very pleasant experience in a lovely restaurant. Food is always good here and the staff are in the main friendly. One thing that always irks though is the amount of time you have to wait for someone to ask for the bill. On many occasions you have to go and find someone which is not good for a private members club. other than that all good though. Great hidden place with a nice rooftop bar. Hard to find which makes it even more exclusive. Good food and service, recommend for business lunches. The welcome from the friendly and attentive staff set the tone for a very enjoyable business lunch. Great choice from the menu and the food didn't disappoint when it arrived. Great experience. For what appears to be an exclusive club, this is shocking. We waited 30 mins for scrambled eggs and had to remind the waiter several times about our coffee and water. He seemed indifferent about our plight. I was taken there for my retirement lunch. However I chose the restaurant. Never been before but read the favourable reviews. Everyone enjoyed their food. Tasty and well presented. Fairly good service. Wonderful find! Hidden away in a backstreet near Liverpool Street Station. Met a friend for dinner and it was divine. The Italian waiter made our evening suggesting a wonderful bottle of wine and recommendations for the food. I started with the seared tuna and prawn wonton followed by lobster linguine and then the lemon tart ... couldn't fault it but quite pricey! Will go back again. I had a fantastic business lunch here with a few Clients. The food was great along with the service. I am looking forward to returning in the future. Visited the Quartier with a couple of friends during a week day evening. The food is over-priced and the drinks more so. Sure, the food I well cooked but you expect more, given the prices. The service was ok at best; aggravated by language barriers. The waitress varied between over- and under-attentive. And our coffees were luke warm. This is a nice restaurant but the answer to the proverbial question 'would you go back?' is No. The reviews were good so I booked Quartier. The staff were good but the food on the deal was average pub fare. We tried a few starters from the a la cartel menu and they were excellent. It was also almost empty & so no atmosphere, which was quite surprising for a Friday night. I dined here with two friends that I had not seen for ages. We had an unhurried lunch on a lovely round table with a view of the room and the small terrace. We booked on a deal (two courses and a glass of wine - forgot to have the included wine as we ordered a bottle) and all had the smoked salmon and crab strarter followed by the fish and chips and the chicken caesar salad (huge). We did look at the dessert menu (shown the a la carte at first) but were too full and thought we would share some cheese. Strangely they had no cheese that lunchtime, so had coffee and a truffle. I really liked the dining room, there are enough spaces betwen tables and it was comfortably full with no background musak. I would recommend for lunch either informal or for business. We chatted away most of the afternoon and the service was perfectly pitched to allow us to do so. Simply delicious and great service and ambiance. Definitely recommend! I booked this restaurant based on their menu and the general look as a birthday treat for a friend. The service was excellent and the food lovely. Their set menu was very good value. My only criticism would be the difficulty finding this place. Hence the title. Due to lots of redevelopment work in the area, some road names have been removed. That said, I would recommend it without hesitation. We had a large group dinner at this restaurant. The food was excellent and the restaurant was patient while managing such a large group. Really lovely place and relaxed atmosphere. Good food, attentive service and tables spaced far enough apart for private conversation. Quartier is the restaurant of a members club, but also open to the public. we had the opportunity to try their evening menu. The first obstacle is to find the place, but after you have mastered the bouncer and the friendly receptionist everything went smoothly. The staff was very attentive and willing to accommodate special requests (we wanted to dine outside on their small, but very atmospheric terrace). The food is well prepared with a nice and innovative twist. The house classics are of particular good value. The restaurant offers also a very decent selection of wines and we particularly enjoyed the house white. Overall a very enjoyable experience that I can wholeheartedly recommend. My friend and I dined here for his birthday. The food and drink was just perfect in every way and whilst it was quiet it was expected for a Monday night. However, it did not take from the quality of the food and the service which could not be faulted. I would certainly recommend this restaurant to my friends for a special occasion. The ability to have coffee on the terrace to conclude a beautiful evening was an added bonus. Perhaps it takes a lift ride to ensure a table with relative privacy, but we were really happy to dine in such a spacious, airy room. Flanked by terraces on a sunny June evening, the ambience was very relaxing. Our food was lovely, beginning with an outstanding amuse-bouche, and the menu a bit edgy to the extent several dishes were "ambitiously" composed. 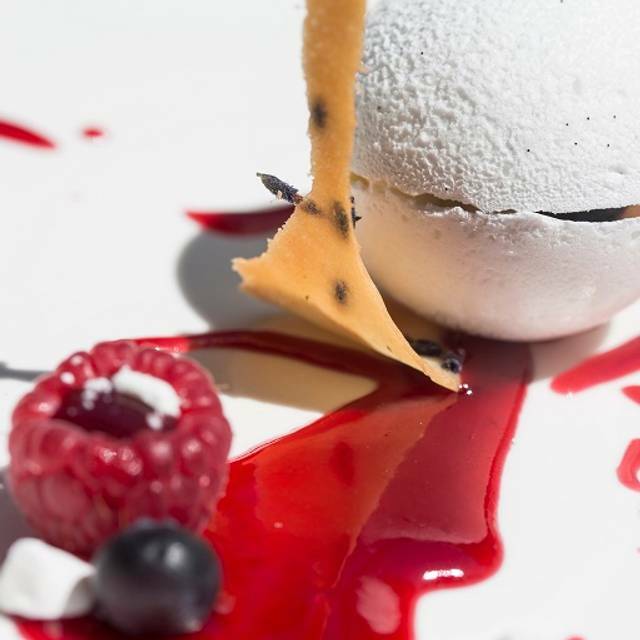 For example, it would be easy to be put off by a spoonful of coconut sorbet served with foie gras, but strangely the dish was a success. More conventionally, monkfish was perfectly cooked, as was my companion's lamb, and chips and vegetables were nicely done. Cheese was (for London) a very generous presentation, and worth a reprise of the restaurant's excellent bread rolls and butter. I have to commend Quartier for having a good choice of (again, for London) reasonably priced wines from which to choose, should you not be up for a break-the-bank evening. Service was better than the food. Excellent interior. I will be going back VERY SOON ! First visit, and booked via opentable. Welcome and service generally was very good. Very clubby atmosphere and I liked it that tables were not pushed close together. But it's pricey and for that reason, although I'll almost certainly come again, I won't rush back. Our evening was exceptionally pleasant. Thankfully, middle of the week makes this perfect for a quiet, couples dinner. The staff were attentive, from confirming the booking in the morning through to making sure that we had a quiet corner with a view onto the terrace. The food was lovely, I particularly enjoyed my Pigeon Starter and Game Pie, the timing was fine and we didnt have to wait to refill our glasses. Our waiter was very helpful and all the staff were happy to help (even with our photo taking). The Manager was extremely generous allowing us to enjoy the venue and the view, over after dinner drinks - wonderful! (Good standard of cleanliness for the Gentlemans and Ladies rooms too). Made for a relaxing evening! Highly recommended! This restaurant is quite hidden as its tucked away on a small street with scaffolding outside. Its best spotted at night by the tasteful fairy lights and lit trees on its top floor balcony. If you see the sign for Eight Mile Club you are in the right place, Quartier is in their in house restaurant I guess. The food was good, the restaurant has an old world modernized country club vibe. Staff were friendly and attentive. My only complaint was the steaks we ordered as medium rare but they came medium well, as we had a good special price and the quality of the steak was nice we ate them anyway as they were rather then forcing waste in the kitchen. Excellent service, nice quiet atmosphere, good food, good value. Make your way down the back streets, down a dark alley and catch a lift marked 'deliveries' to start your experience. Arrive at a reasonably swanky club style restaurant. If you are lucky you can see that there is a balcony which overlooks the back streets. But keep that vision in mind otherwise you will think you've been transported to a foreign YTS scheme. The children serving are shy, with pigeon English. You will need to guide them through the restaurant experience badgering them for things you think are automatic but seem like a surprise. Like a menu. Or drinks. Or olive oil when you ask for oil and vinegar for the bread, or even chips when you order fish and chips. Food and surroundings okay, service slow and poor. Avoid. This place is difficult to find, but worth the effort. I've been here 4 times over the last 3 years and it still remains my favourite place, new people have come with me every time and no one has been anything less than super impressed. My friend ordered a mojito which we felt was very watery and barely tasted the alcohol, the 2nd time one was still weak but the manager was such a star more than happy to make sure it was made right even changing the alcohol. All staff were spot on except the lady at reception who doesnt seem to know how to smile. Food was beautiful as always and sitting outside in the warm weather soaking the views was bliss. I'll be back with my sister very soon who's also a dan, really look forward to it! This is a lovely restaurant. The service was excellent with waiting staff extremely attentive. The wine list excellent and pretty good value. The food is very nice, the calves liver was to die for. On the down side, the atmosphere could have been better, the restaurant was half empty on a Friday evening. A colleague and I decided to do a lunch out of the ordinary, and booked the mixed grill deal for two. This was outstanding value and the sharing board was immense and outstanding in selection, quality and cooking. I can't wait to go back. A perfect antedote to the noise of Spitalfields, this glass penthouse restaurant is a stone's throw from Liverpool Street and well worth a visit. Their toptable lunch deals are very good.